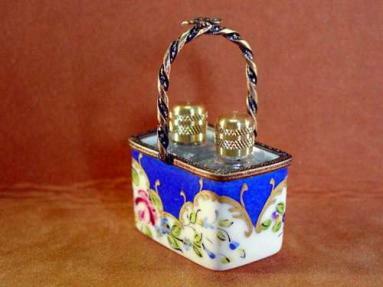 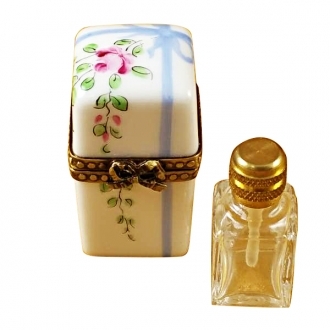 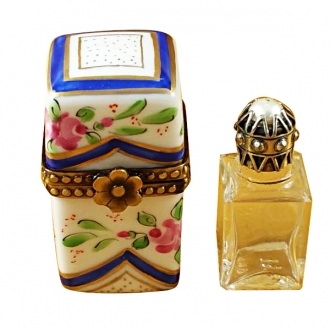 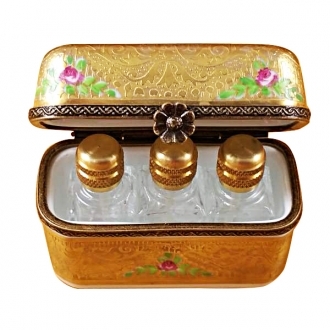 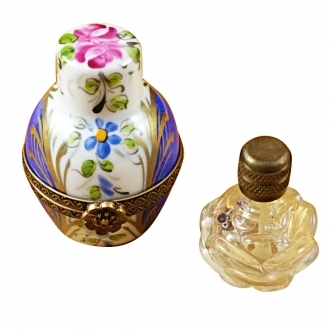 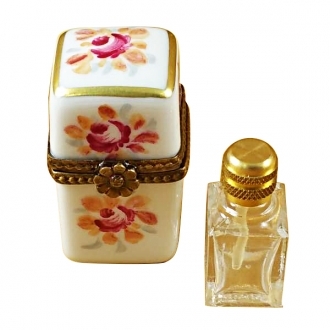 Traditional Styles Limoges with Bottles - Limoges Boxes and Figurines - Limoges Factory Co.
During the late 1970s, Limoges boxes started to be introduced with an idea of finding surprise inside the box. 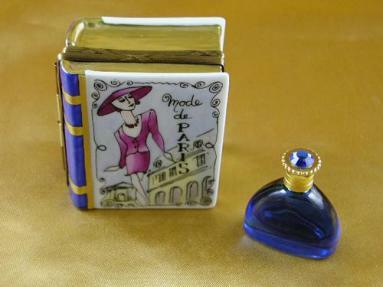 The originals designs featured a perfume bottle inside an egg, followed by a tiny chest that opened to reveal two perfume bottles with faux pearls on top. 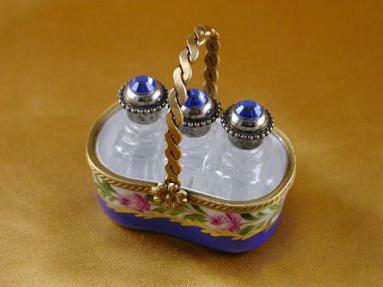 Variations on the theme included an egg and a heart, both containing a single perfume bottle with a faux pearl. 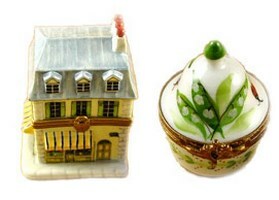 These pieces makes a great gift or additional to any collection. 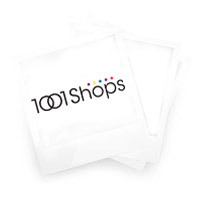 H: 1.25" W: 2.50" L: 2.00"
H: 1.75" W: 1.00" L: 1.00"
H: 1.75" W: 1.00" L: 2.25"
H: 1.50" W: 1.00" L: 2.25"